The Krieghoff double rifle up for sale on Cabela’s is a modern day classic chambered for one of the most interesting modern calibres created for double rifles, the 500/416 Nitro Express. The 500/416 Nitro Express is a modern rimmed double rifle calibre based on the 500 Nitro Express cartridge case necked down to .416″ calibre. The intention of the design is to duplicate the ballistics of the legendary .416 Rigby in a double rifle. This is a powerful cartridge in its standard loading. However, the designers of the 500/416 Nitro Express have created this cartridge to regulate in double rifles both at full power, and at 75% power. 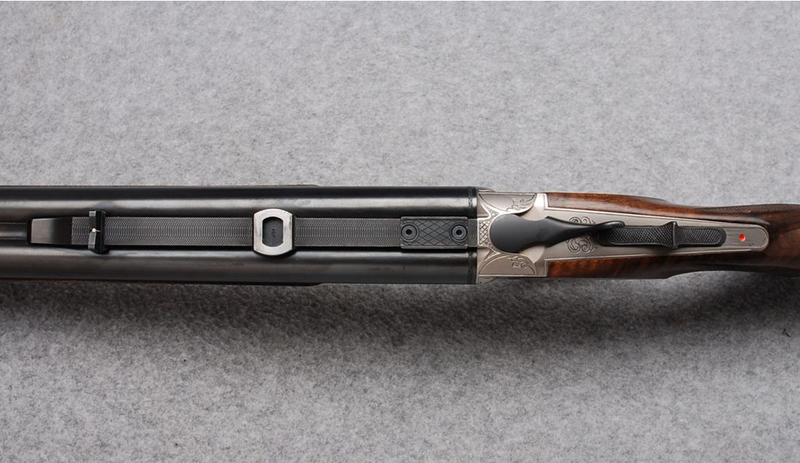 This Krieghoff double rifle comes with both 500/416 Nitro Express and 20 gauge shotgun barrels making it a very versatile hunting firearm. (Picture courtesy Cabela’s). The term “regulate” when applied to double rifles means achieving the two barrels shooting close to the same point of aim. 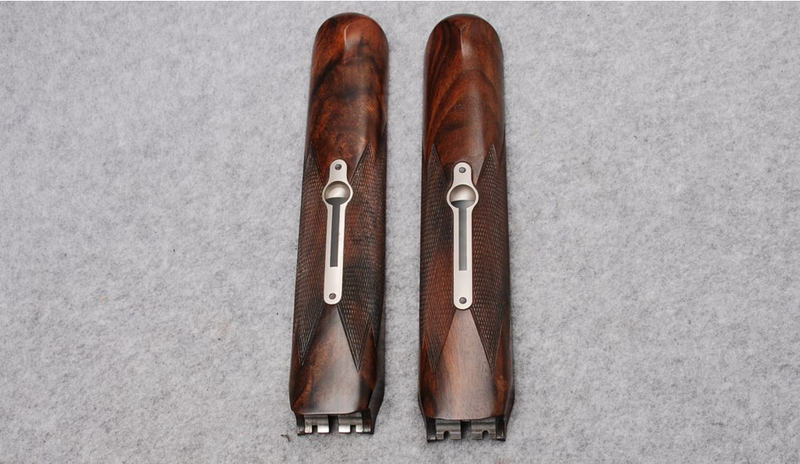 In a side by side double rifle the barrels will shoot closely parallel so the left barrel will typically shoot slightly left of the right barrel but on the same horizontal line. In order to achieve having both barrels shooting to almost the same point of aim the bullet weight and loading must produce the same results as the ammunition for which the double rifle was regulated. In the case of the 500/416 Nitro Express the cartridge and its loadings were designed so that one can shoot full power 410grain bullet loads for dangerous game, or one can go to 75% of the bullet weight and use a 300grain bullet and still have the rifle regulate. This means the rifle can be used for deer, and also for wild boar and pigs. 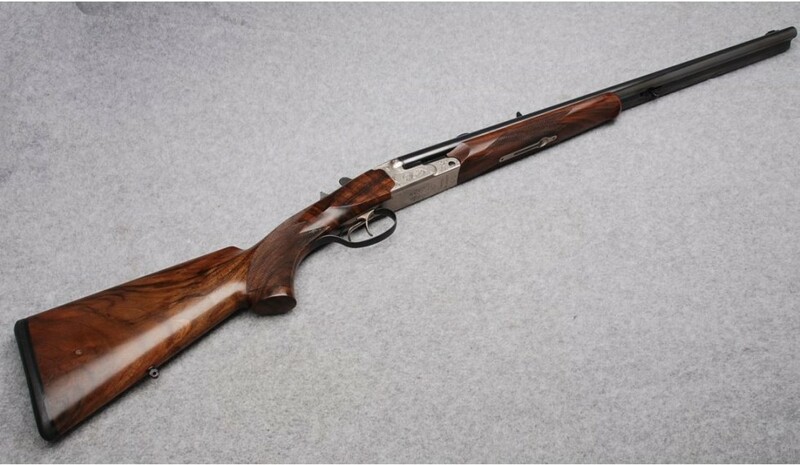 This already makes this a versatile rifle, but in addition to the rifle barrels this Krieghoff double rifle also includes a matching set of 20 gauge shotgun barrels, the rifle barrels and the shotgun barrels each having their own fore-ends as the external profile of the rifle barrels is different to that of the shotgun barrels. The rifle barrels and shotgun barrels each have their own fore-ends. Care has been taken by Krieghoff to ensure the wood matches perfectly. (Picture courtesy Cabela’s). 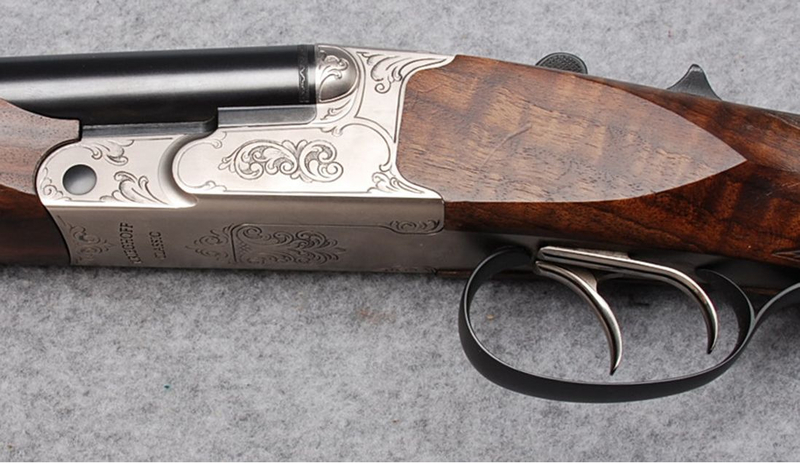 Krieghoff double rifles have an excellent reputation for quality, reliability and as rifles that are designed to be comfortable when shouldered and fired. Our featured rifle has minimal tasteful decoration. Decoration on this rifle is tastefully moderate. (Picture courtesy Cabela’s). The rifle barrel has the classical open “V” rear sight set on an express rib and a bead foresight. The shotgun barrels have both a front and mid bead on the rib. 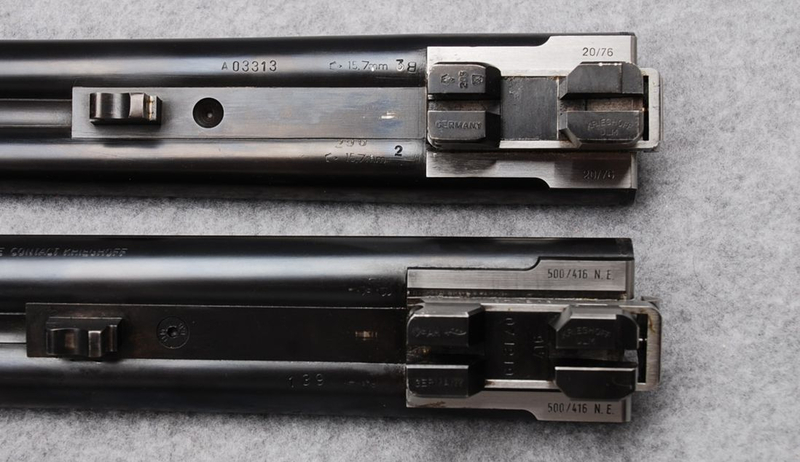 In addition to the open sights the rifle barrels are equipped for the fitting of detachable rifle-scope mounts. (Picture courtesy Cabela’s). If you are interested in full details of the rifle for sale click here to see the sale page on Cabela’s web site. For those looking to find out more about the 500/416 Nitro Express cartridge you will find it listed in the Norma Reloading Manual which you can find if you click here. Norma manufacture loaded cartridges which you will find if you click here. Hornady also manufacture loaded cartridges for the 500/416 Nitro Express which you will find if you click here. You will find Hornady empty cases for the 500/416 Nitro Express if you click here. Nosler manufacture 500/416 Nitro Express ammo which you’ll find if you click here. Last but not least British Kynoch ammunition is once again being manufactured and you’ll find their 500/416 Nitro Express ammunition if you click here. The Krieghoff double rifle for sale at Cabela’s comes complete with a Krieghoff soft rifle carry bag. 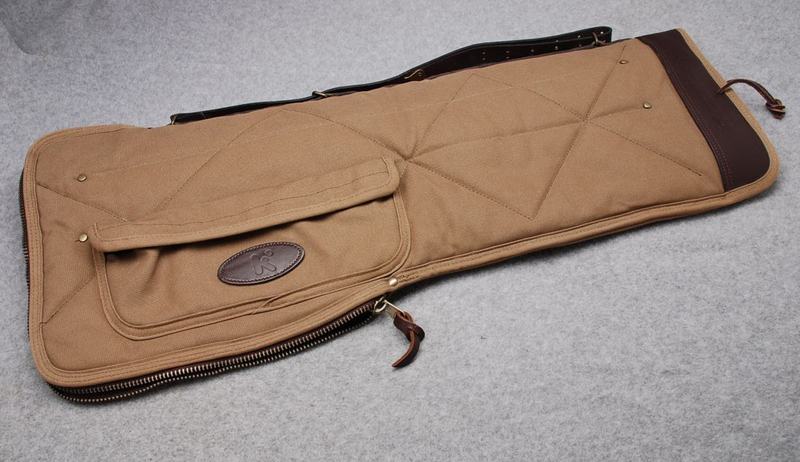 The double rifle comes complete with soft cover carry bag. (Picture courtesy Cabela’s).